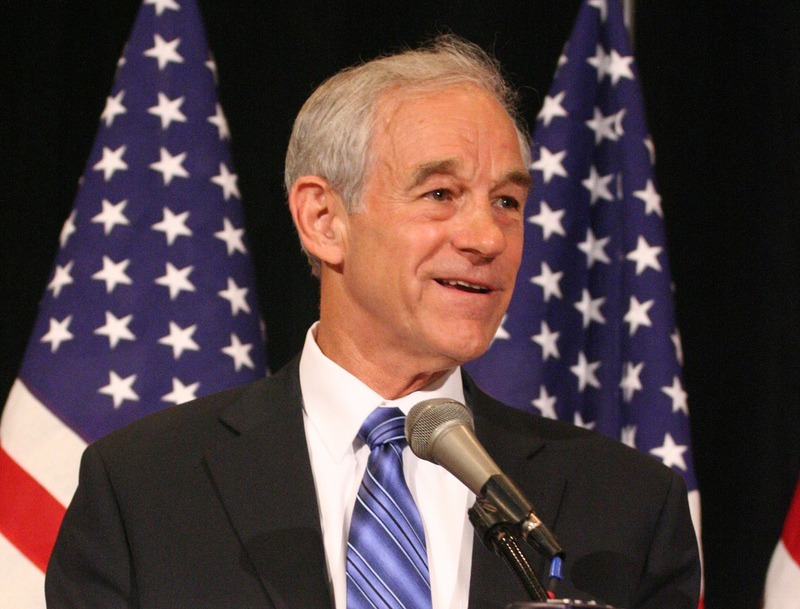 Are you a Ron Paul supporter? Are you a Gary Johnson supporter? Are you an "undecided" voter? Do you live in either of these states: Colorado, Florida, Iowa, Michigan, Nevada, New Hampshire, North Carolina, Ohio, Pennsylvania, Virginia, or Wisconsin? If your answer to either of the first three questions is "yes" and the answer to question number four is also yes, please read on. In thirty nine states and the District of Columbia, your vote for the candidate of your choice would not change the results of the Electoral College totals. You should therefore vote your principles without remorse, and without anyone harassing or belittling you for it. This is your Constitutional right! Both of these gentlemen are America loving people with a lot of good ideas, many of which I am in complete agreement. The problem arises in the eleven "swing" states listed separately. In these swing states, a few thousand votes going to third party candidates have a REAL potential to hand the Presidency back to NOMObama. I am hoping that you will agree with me, that he is the absolute LAST PERSON you want to see win. Please consider VERY CAREFULLY what your vote means. I know I am asking a lot, but, our Republic is at stake and so I am depending on you! Please, please, we HAVE to get rid of Obama, Biden, Holder, Geitner, Clinton, and the myriad of other thugs that have been, and, will certainly continue to, destroy this country that we all love so much! Can you even imagine what a few more Liberal Supreme Court Justices will mean to our future? Please, I beg of you, Vote for Romney/Ryan. To all of my blogging friends, PLEASE "redistribute" this post in any way(s) you can. This is the one thing we as bloggers CAN do to make a difference in the results on Nov. 6th. I plan to do a bit of a rewrite and send it to "letters to the editor" in New Hampshire's news papers. Please do the same in your states if you are in a "swing" state. I wouldn't even bother with it in nonswing states. UPDATE: sample "letter to the editor"
New Hampshire eligible voters, are you a Ron Paul supporter? Are you a Gary Johnson supporter? Are you an "undecided" voter? If your answer to either is yes, please read on. As you are probably aware, this is one of the most important elections in our lifetimes. The outcome will determine the direction we take for a LONG LONG time. Do we want to increase the size of the Federal government, making it even bigger than it already is? Do we really want the "nanny State" to take care of every portion of our lives from cradle to grave? Supreme Court justices will be appointed that will hold that office for life. Do we want an aggressively liberal court "legislating from the bench," in essence making law and thus circumventing Congress? I don't. The problem arises in the eleven so-called "swing" states. In these swing states, a few thousand votes going to third party candidates have the REAL potential to keep the Presidency in Obama's hands. I am hoping that you will agree with me, that he is absolutely the LAST PERSON you want to see win. Please consider VERY CAREFULLY what your vote means. I know I am asking a lot, but, our Republic is at stake and so America is depending on you! Please, please, we HAVE to get rid of Obama, Biden, Holder, Geitner, Clinton, and the myriad of other thugs and CZARS that have been, and, will certainly continue to be, intent on destroying this country that we all love so much! Can you even imagine what a few more Liberal Supreme Court Justices will mean to our future? Please, I beg of you, Vote for Romney/Ryan. Readers, if you have friends in the following "SWING" states, please see if they might send this letter into their newspapers "letters to the editor" in time for Nov 6th: Colorado, Florida, Iowa, Michigan, Nevada, New Hampshire, North Carolina, Ohio, Pennsylvania, Virginia, or Wisconsin. Your point about the SCOTUS is well taken and critically important! If BHO is re-elected, he'll appoint fellow Leftists to the SCOTUS, and we'll be plagued for decades by these weasels. Romney isn't perfect. I know that. But he's the only chance we've got to get that weasel BHO out of the Oval Office! AOW, Romney wasn't my first choice either, BUT he is FAR better than NOMObama could ever be. In the past two hours, I have sent a "letter to the editor" to the Manchester Union (Major NH newspaper), I dropped the same thing off to the Berlin Daily Sun (local free paper read by most of northern NH), and I also dropped by the local Senate Office of Senator Kelley Ayotte and had a very nice conservation with the Senator's Aide there. I left him a copy for her with my permission to use whatever part of the letter she so chooses as she campaigns for Romney/Ryan. Her audience is MUCH larger than mine! I hope this helps! I feel EXACTY the same way. Until Romney won the nomination I was a vigorous supporter of Ron Paul. I said VIGOROUS, mind you, -- NOT FANATICAL. I know several Paulites -- some in your state as a matter of fact -- who are SO bitter about the shabby treatment their" man received at the hands of the GOP Establishment they are willing hand the election to Barack Obastard just for SPITE. It's selfish, vain, irrational, short-sighted, and frankly STUPID. 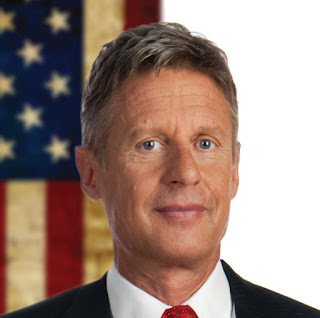 I could never vote for Gary Johnson, even though he does have many good ideas. Why? Because when it comes right down to it, I don't like the cut of his jib. He has a weak mouth. No one can help his looks, but he does NOT look like presidential timber. He's just too casual, too "laid back," too informal and too "modern" for my tastes. BUT if he were the standard Republican candidate you can bet your farm I'd be voting for him. Unfortunately, there ain't much we can do about any of it. I'm a PRAGMATIST -- and as far as I'm concerned that's the ONLY thing to be in politics. I save my idealistic impulses for family, friends and people I meet and do business with in daily life. You've so nice about visiting me. I've got to come over here more often. You've got a goodt hing going here. Thanks FT, thanks for visiting, thanks for the kind words and thanks for what you do at your blog and comments on others. We all have to stick together. I've actually had some success in converting a few Johnson and Paul supporters. Use a lot of honey building up their man and grovel a bit. Some will reconsider, begrudgingly, but still agree with you that you're right. We NEED EVERY vote in the swing states. If they live in a non swing state, I could care less who they vote for. Keep up the good work, AA. It's a very important day in the history of your country, how people cast their vote will determine where your country goes. No more second chances, this is your last one.